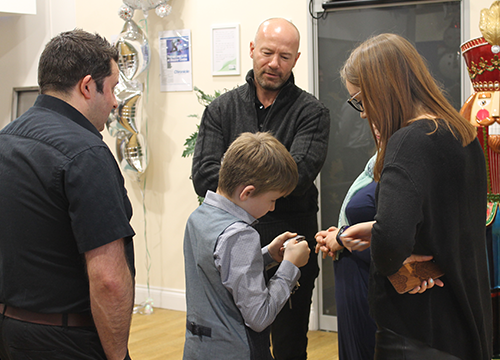 Created for people with complex disabilities and acute sensory impairments, the Alan Shearer Centre is a highly specialist, respite, residential and social facility situated on the outskirts of Newcastle. With three specialist facilities on the same site, they cater to a wide spectrum of needs, whether it’s have a fun day out using their facilities, staying over in their short break centre or staying for longer at their specialist residential home. 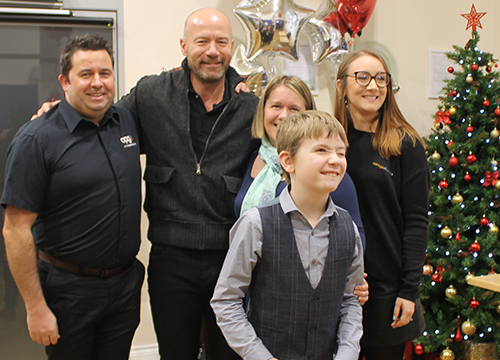 Here at Omega Plastics we have been working with the Alan Shearer Foundation – part of North East charity, St Cuthbert’s Care – for two years, raising over £2,000 for this fantastic charity. In December we were invited to take a look around their amazing centre, to see first-hand the work they do. Visiting was our marketing and CSR manager, Megan Carr and office manager, Michael Hanley along with his wife Natalie and their nephew, Ernie who used the centre regularly as a baby and toddler. “It was wonderful to be able to take a look around this great facility and meet all the amazing people who keep it running,” said Megan. “Seeing how much the children loved the facilities was overwhelming and watching Ernie lead our group, remembering his happy memories there was heart-warming to see. 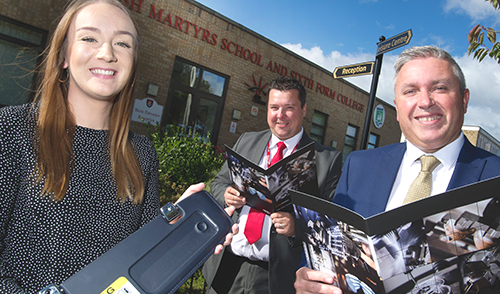 Membership is free and can be done by simply downloading and completing their application form. If you prefer, you can call the centre directly on 0191 267 8118 or even pop in to collect one from their reception.